In response to the unbridled materialism and individualism that threatens the well-being of society; CISSE believes that "communities of character" are not only desirable but possible through collective practice of human values in schools, families, and community groups. The practice of universal values such as Truth, Right Conduct, Peace, Love, & Nonviolence is the key for the development of stable families, responsible students, and stronger communities. 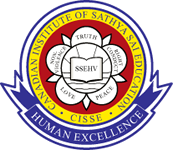 CISSE’s mission, therefore, is to make character and values based programs available not only to schools but to families and community groups through its Community Programs called SSEHV (Sathya Sai Education in Human Values) for schools and community groups, and Dynamic Parenting for Parents. For more details see sections: ABOUT CISSE and DYNAMIC PARENTING. SSEHV utilizes two methods to elicit human values from within a person - the (Indirect) Integrated Method and the Direct Method (for details click here). At the Sathya Sai School, character education is implemented through the Direct as well as the Integrated Method where human values are incorporated into the academic curriculum; however in community programs, the human values are taught primarily through the Direct Method. The Direct Method offers a framework of five teaching components (quotation/prayer, meditation on light, storytelling, group singing and group activities) through which the five human values can be experienced and put into action. CISSE is exploring wider avenues such as daycares, after-school programs, libraries, and community centres where these programs can be delivered to children or adults. To achieve this, CISSE will offer training and continuing support at no charge to interested community groups who wish to implement these programs. While SSEHV programs are tailored for young adults to address youth issues and mould them into responsible citizens, the programs also have great value for health and social agencies and other organizations like Chambers of Commerce or Boards of Trade in fostering ethics and values in public and corporate life/administration. A National Symposium and Four-Day Workshop on Character Education was held in Brampton, Ontario on March 23-28, 2005. The Symposium stressed character education as the key to dealing with the decline in moral values, growing violence and drug abuse among students and in society generally. Over 350 educators, parents, trustees from school boards across the Greater Toronto Area, and city councillors listened to a panel of eminent speakers on the subject. There was also an exhibition on Dynamic Parenting. An SSEHV workshop for teachers/facilitators was sponsored by the Sathya Sai School on February 27 - 28, 2010. It was delivered by Dr. Pal Dhall and Dr. (Mrs.) Tehseen Dhall, Directors of the Institute of Sathya Sai Education Australia who have established valuable SSEHV programs in Australia and other countries. Dr. Dhall explained that values education is most effective when values are practised by teachers, parents and community leaders. 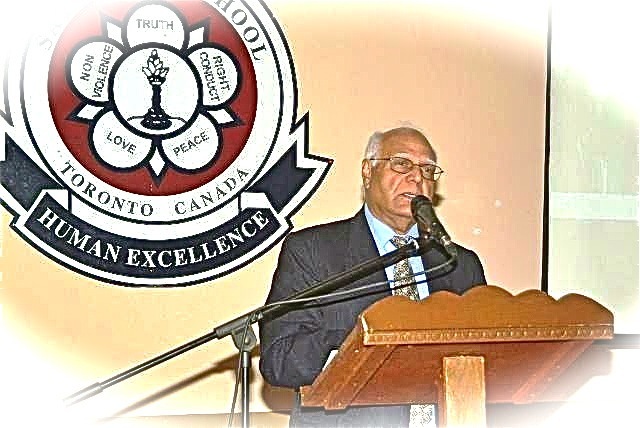 A Character Education Seminar organized at the Sathya Sai School on March 4, 2010, was attended by 100 people in the Greater Toronto Area including Government and school board representatives committed to education and the betterment of children. It provided an opportunity for educationists to learn about Sathya Sai Education in Human Values. Speaking at the seminar were distinguished international guests and local dignitaries like: Dr. Pal Dhall from Australia; Mrs. Carole Alderman from the U.K.; Dr. David Gries from the U.S.A, Zonal Chair and Board Member of CISSE; City Councillor Raymond Cho representing the Toronto Mayor David Miller; Mr. T.R. Pillay, Founding Principal, Sathya Sai School, Canada; and Dr. Revathi Chennabathni, Principal, Sathya Sai School, Canada. All spoke of their experiences and successes in character education. A Summer Camp to encourage the practice of values was conducted for the students of Brookview Middle School, Jane Street, Toronto in summer of 2005 by the SSEHV Resource Group. In addition to similar activities, CISSE will foster character and values education through events such as essay competitions, drama festivals and public speaking for schools. While children can imbibe human values either through the Direct Method or the Integrated Method, the Institute also has a program for parents. This program is known as Dynamic Parenting. At these Workshops which are offered free of charge, parents are motivated to set high ideals and moral standards for themselves and their children. 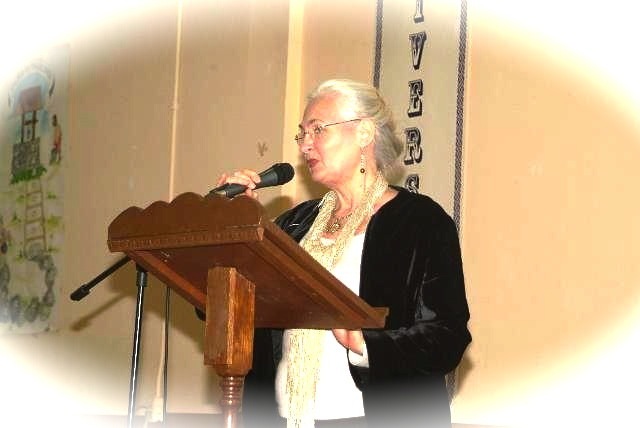 Carole Alderman from the United Kingdom and Dr. Pal Dhall of the Institute of Sathya Sai Education Australia address a Character Education Seminar at the 10th Anniversary Celebrations of the Sathya Sai School in March 2010. The Dynamic Parenting program, like the SSEHV program, is based on the five human values of Truth, Peace, Love, Right Conduct, and Nonviolence. Detailed information on the Dynamic Parenting program is provided in a separate section (See DYNAMIC PARENTING). Exhibits on the Five Human Values and on the Dynamic Parenting program are available for display at community events to create an awareness of the benefits and significance of effective parenting. Sathya Sai Education is a worldwide program. Wherever programs like Dynamic Parenting and character based programs in schools have been tried there have been tangible benefits to both children and parents. Given below are some testimonials from children, parents, and teachers. I liked the silent sitting and Awareness exercises because they helped me to get in touch with my inner self. The strategies we learnt to use with children were most helpful and practical and I know for sure that from tomorrow, I will be using them on a more practical basis. I also have seen the importance of being much more selective with my choices of stories for children and how to create a lesson plan around them. I liked the practical applications, various different methods/activities for silent sitting; the in-depth analysis of the values; active participation; straightforward answers to questions (diplomatic); resources – songs, books, CDs; DVD of SSEHV in action.I would have liked more time. Rishima Bahadoorsingh, Richmond, BC. Responses when asked: What do you think of the SSEHV Program and how has it changed you? Dynamic Parenting Workshops have given me a real awakening to maintain quality time in our family. After having gone through fifteen weeks of Dynamic Parenting...not only have I become a more patient person, I have gained a new level of understanding of how to handle conflicts; how to discipline my child; how to communicate effectively with both my child and my husband, and how to listen effectively (and this may be THE MOST IMPORTANT value that I learnt so far). Participating in the value parenting sessions was amongst the best decisions we have made. As we had received no formal education or training in parenting, these fifteen sessions have made us aware of the important changes we need to make in our lifestyle, or habits, to have any significant impact on our family members including parents, friends, spouse and children. In a nut-shell, value parenting is not just about being good parents; it is also about being a good person. Human interaction is not exclusive to family. So I suggest every man, woman and child take this course to learn to interact in a divine way. The workshops gave us an opportunity to see “parenting” in a whole different view, and knowing other parents shared the same concerns and fears gave us strength and courage to face our challenges. We learnt how to listen rather than hear, we learnt how to speak effectively instead of shouting or yelling, we learnt to express our feelings in a non-threatening but in an effective way. Above all we learnt the importance of teaching good values to our children. I would like to attend the workshop again if possible, and if I am that fortunate I will do it every year so that I can check myself regularly. The workshops were life changing. What is the true ornament of man? and towns. The waves of the ocean are its ornaments. The moon beautifies the sky. Character is the true ornament of man. We, as educators, must find that balance between the world of the mind and that of the heart and soul. It is the mind that preoccupies our time and that will take us to the information age. But it is the heart and soul that will allow us to remain connected to our own humanity that will build that bridge between us…and create a good society.